Treat your acoustic to awesome live tone and effects. 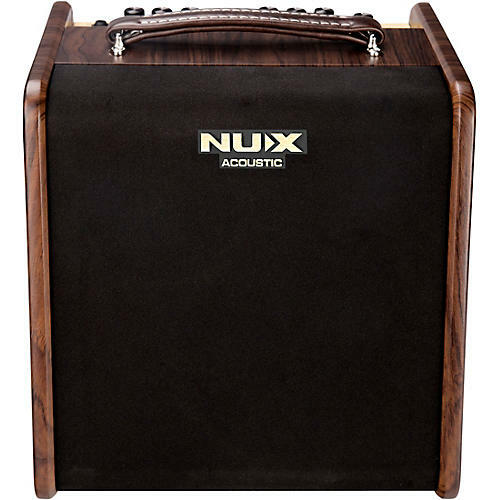 The Nux Stageman AC50 50W 1x6.5" acoustic guitar combo amp is designed to accurately reproduce the natural sound of your acoustic guitar and vocals. The front control panel has 2 identical channels and both are optimized for microphones and acoustic guitar inputs respectively. The dual-input channels, on the NUX Stageman acoustic guitar amplifier, provide you with even more options for small gigs or studio recording.